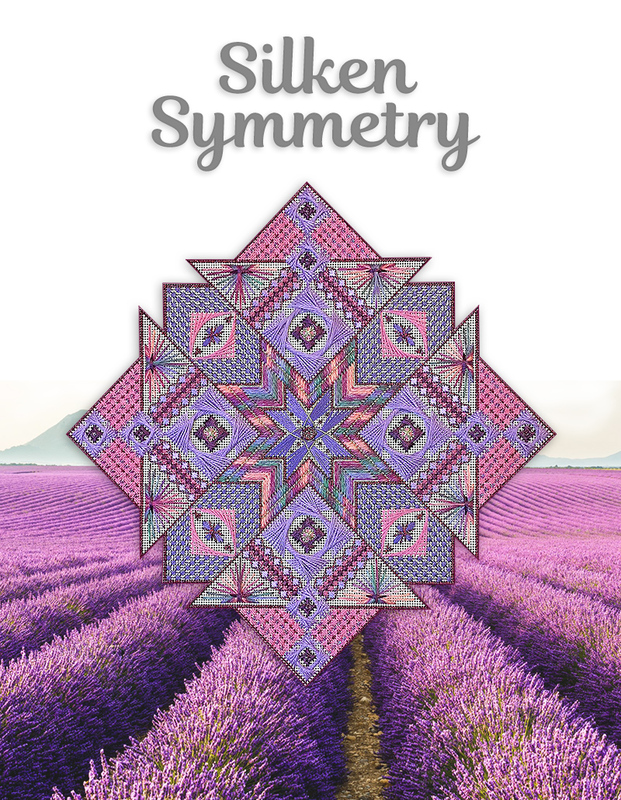 A design based on 4-fold rotational symmetry and one of Carole’s first few designs, Silken Symmetry has been updated with new and currently available threads. It began with an eight-point star and developed from there. Stitched on 18-mono canvas, this design uses Watercolors, Splendor silk floss, Impressions, Kreinik #8 braid, Neon Rays, pearl cotton #5, silk ribbon and seed beads. A variety of colorways are included, or you can choose your own colors. NOTE: This older pattern of Carole’s is yummy, but many of the original threads are discontinued. Substitution are easy, but we wanted you to be prepared.